Well something exciting has happened in the Whitecottage, we finally have pumpkins, we haven't had much luck in previous years but this year we are on a roll I picked one yesterday and I made my delicious pumpkin soup (click for recipe)it is always a winner around here. Today is raining and I am enjoying the last bowl with a dollop of sour cream and toasted bread. Well we all know that my favourite season is Winter, I love that I can wear fabulous coats, wool hats and long boots and who can argue with a good cup of hot chocolate, but what I most like about winter is all the fantastic events hosted in winter time. 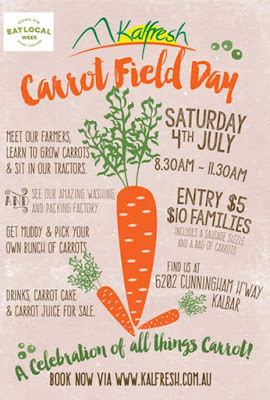 We had so much fun we learned about where carrots come from and how they are cleaned and packed, the people at Kalfresh were so friendly and happy to answer all our questions, after our tour we got to pick our own very carrots to take home, the munchkins and maybe myself were jumping with excitement. 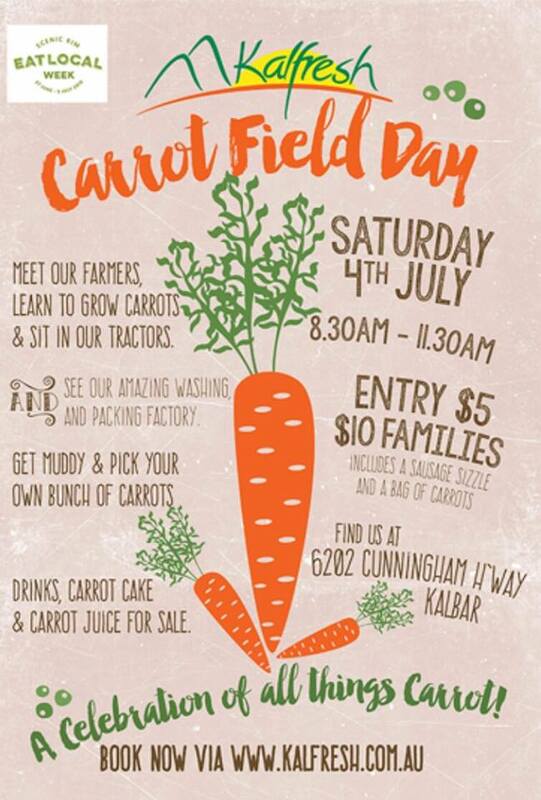 Anyhoo if you want to go for a fun drive and join the carrot festivities get on their website and book a spot. ps. Not sponsored just happy to spread the word for grow local eat local. A few months ago our new next door neighbours moved in, a young couple and their baby, after a week or so after they moved in I popped over with a warm cake to say hello and welcome them to the neighbourhood, the lady expressed how happy she was by our gesture and that this made it more affirmative that they had made the right decision to move into our street. I told her that's what we do in this neighbourhood we welcome people with open arms. I went on my merry way back to the Whitecottage and life got busy as always and hadn't seen the neighbours much except for the casual wave as they leave for work and us for our school run. The other night she came around and she needed some help in her home Farmer Joe went and he was back in a flash. The next day we got a knock on the door the neighbour had come over with a gorgeous chocolate cake to say thank you. Our vegie patch is going so well at the moment we don't have lot of variety but what we have we got plenty of it. I needed to take back the cake plate to our neighbour and since we have plenty on our little crop and eggs thanks to our trusty chickens, I decided to make a little hamper and take it over, baby munchkin and myself made our way next door. and this is what we left by the front door.